coconut tree leaves are one of the main parts of any tree and there are many uses of leaves of any plants. If we consider about the coconut tree leaves, it mainly used for sheltering purposes in houses and shields in rural areas.We are discussed more and more benefits of this coconut tree on this site and today we are going to discuss on amazing benefits of coconut leaf. Do you believe that the leaves of this tree are also consumed for human needs and requirements? The answer is yes. 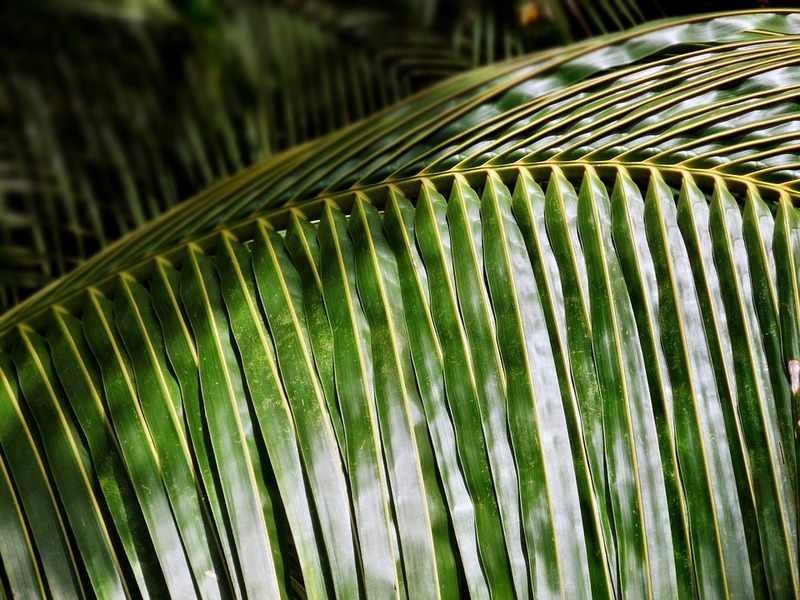 Normally coconut leaves called fronds, they are bright green when they first emerge and then it get darkens when it getting aged. As coconut tree grows the bottom fond fall off and gray color trunk behind. Unlike other trees leaves of coconut tree also use for creating so many different things which valuable for humans to fulfill their needs. Normally coconut tree leaves which used for sheltering purposes. Coconut leaves usually long last for one year. But recent research developed technology introduce some technology to improve their duration over 4 years of time. Most of these coconut leaves are used by low-income people who live in rural areas because it’s really cheap. Coconut Leave also contains midrib which is good strong and got great durability. These coconut midribs are much popular to create different types of brooms which widely use to clean houses in Asian countries. Normally coconut leaves are very large and beautiful. So sometimes it’s also used for landscaping purposed which create unique appearances. Coconut leaves are one of the favorite foods of elephants, so most of the owners who owns elephants in countries like Sri Lanka, India and Thailand used to feed elephant by coconut leaves. There are different types of things which created by using these coconut leaves and some of the uses mentioned as follows. Cooking Skewers, Toys for children, Beautiful natural fruit trays, Temporary hats, Paper pulps, Bags, Roofing purposes, Temporary shields, Barbecue skewers, umbrellas, book cover, sun shields, brushes, ropes, fans, brooms. Compare with other parts of coconut trees, uses of coconut leaves consider as less significant. The causes for this less significant is the less durability of coconut leaves. As we discuss earlier coconut leaves are mainly used for sheltering purposes in rural areas because of it really cheap and poor people can afford it. Compare with other leaves, coconut tree leaves got so many different uses, but most of the applications and uses are not much popular such as uses of coconut oil, coconut water,coconut shell and husk of a coconut. Hope you have some good understanding of Coconut leaves users and following are several other articles of this magical coconut tree.